Welcome to Hays Travel Rustington. I am Tanya and I am very proud to be the Branch Manager. I have been in travel for ten years and have gained a wide knowledge of different places; my favourite destination is Crete. Here at the Rustington branch we always go that extra mile for our customers to make their holiday dreams come true. Elaine is our Senior Consultant and has been with us now for two years. Elaine's favourite destination is Australia and she would love to travel back there one day. Our second year Apprentice Nicole has great travel knowledge and she enjoys sharing this with everyone! Nicole's favourite destination is Florida which she has been to a number of times. We are a small team but we like to make a big impression on our customers. We have a lot of loyal customers who we value and we also love to meet and inspire new customers of all ages; not just in the Rustington area but also Angmering, East Preston, and Littlehampton and further afield to Arundel and the surrounding villages. We offer a good mix of cruise lines including P&O, Fred Olsen, and Cunard through to Viking River Cruises and all others too. We sell everything from short breaks to round-the-world trips, tailor-made holidays and coach touring. Rail holidays are becoming more popular and we are happy to help you make your holiday the dream holiday that you deserve. Pop in branch to visit us and start discovering your perfect getaway today! As well as selling holidays, we're passionate about our local community. 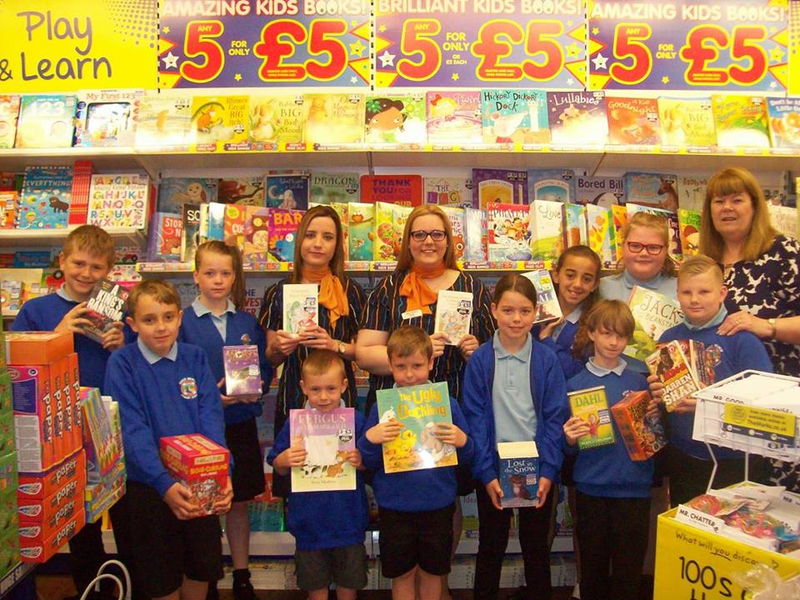 This year we took students from our adopted school, River Beach Primary, to the local book shop and bought them £150 worth of books. We were so happy to be able to help out on this occasion and look forward to working with the school in the future. Whatever type of holiday you're looking for, we'll be happy to be of assistance. Come in and see us - we’re located next to the pet shop and opposite the BMW Mini garage, we also have free parking for customers at the rear of our branch.